Textiles technology group Royal Ten Cate (TenCate) is a Dutch multinational company which develops and produces solutions which are sold worldwide for the protection of people and their working and living environment. 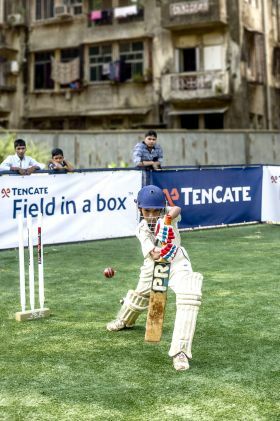 One of TenCate’s solutions is Field in a box™ which connects sports with social, educational and economic objectives. It can contribute to providing employment and help to strenghten the local community. Women on Wings’ joint MD Ronald van het Hof was interviewed for ‘DUURZAAM BEDRIJFSLEVEN.NL‘ how this Field in a box™ even can impact women and their families in rural India. Here you can read the entire article (in Dutch). ← Happy New Year! Naye sal ki shubh kamnaye!